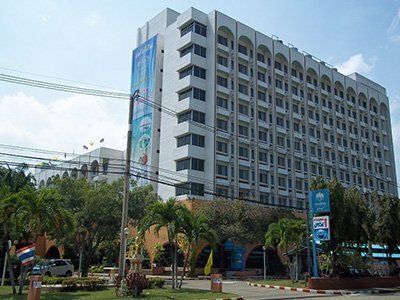 The Lux Guesthouse is budget hotel in the Tonsai Bay area, which is the busiest part of Koh Phi Phi. 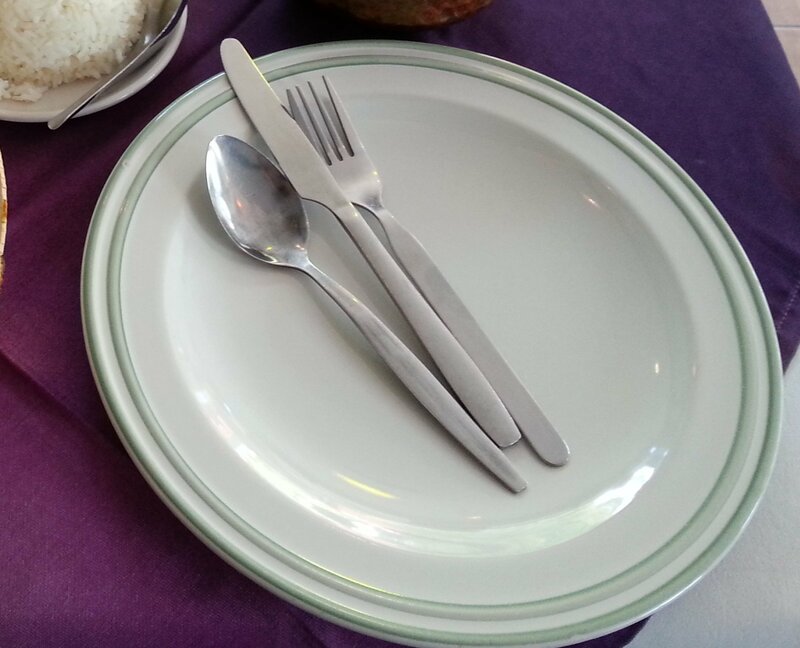 The Lux Guesthouse is one of the best value for money hotels in Koh Phi Phi, whose hotels and guesthouses tend to be relatively bad value for money. 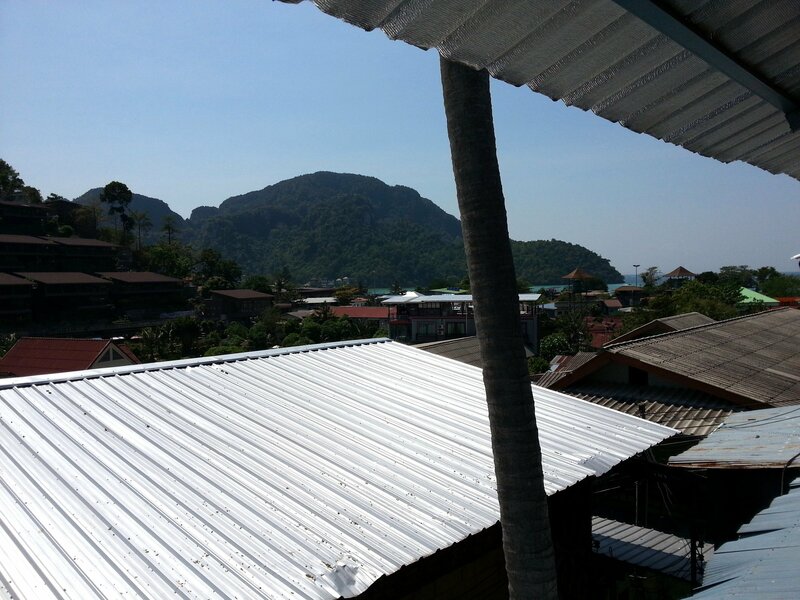 Space is at a premium in Koh Phi Phi and the demand for rooms on the island is very high. 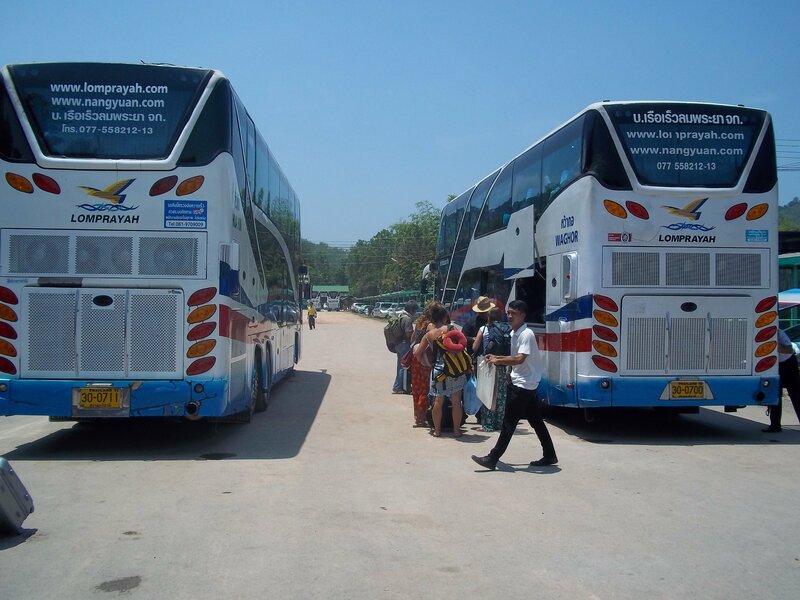 Together these two factors work together to ensure that visitors to the island have pay a lot more for a lot less compared to accommodation in most other parts of Thailand. The main selling point of the Lux Guesthouse is its air-conditioned rooms are amongst the cheapest (I paid 900 THB a night in February 2019) you will find anywhere on the island. These rooms are of an acceptable standard, if a little poorly equipped. The fan rooms, however, are very poor and overpriced. The Lux Guesthouse also has a pretty good location which you may experience slight difficulties in finding for the first time. 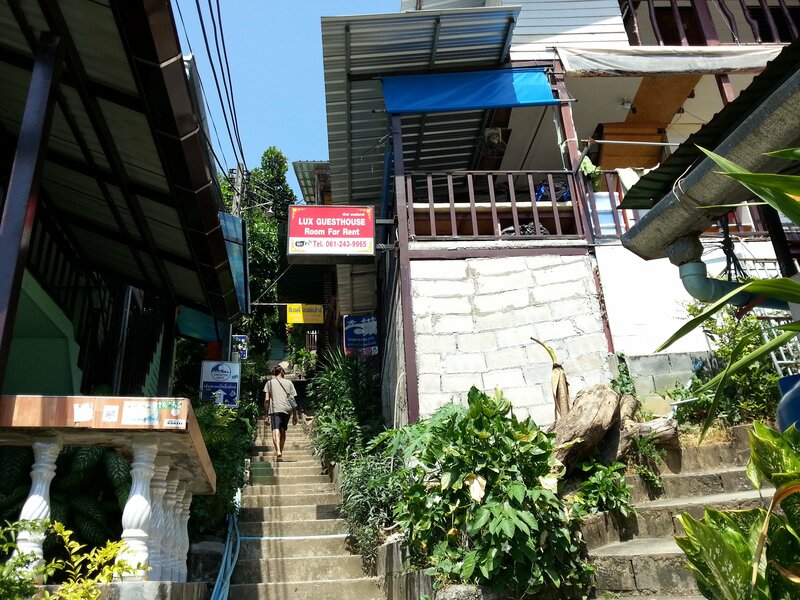 The guesthouse is part way up the hill leading to the main local viewpoint. This means that not only do you get some great views from balcony in front of the rooms, it also means you are far enough away from the noisy town centre bars to get a good night’s sleep. Lux Guesthouse is good option for a night or two visiting the island on a mid-range budget as the choice of places in Koh Phi Phi in the same price range are limited. The standard double A/C rooms at the Lux Guesthouse are about 3.5 metres by 4 metres with small private bathrooms. The beds are comfortable enough and everything is clean. What the rooms are not, however, is luxurious. You get no frills at Lux Guesthouse except for free toilet paper. 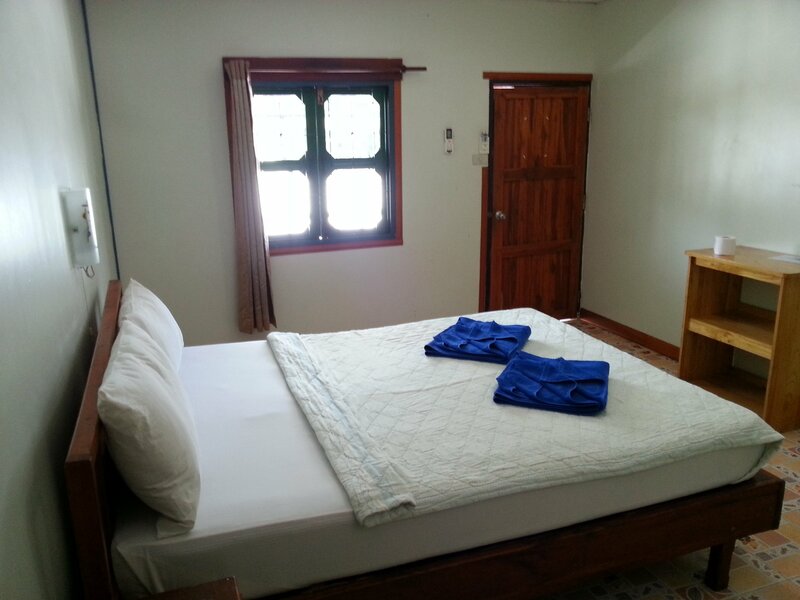 The Lux Guesthouse provided a clean room with a bathroom, functional air-conditioning and usable WiFi. It wasn’t great but it was good enough and affordable. 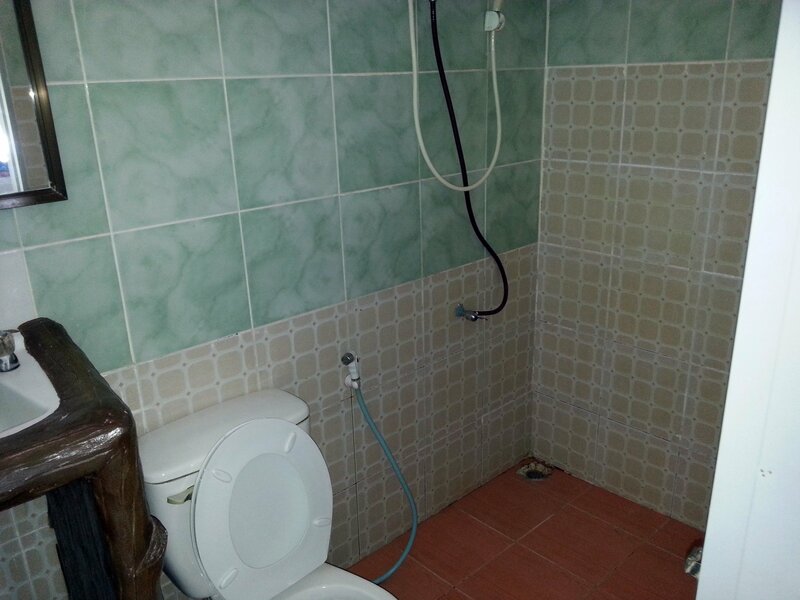 The shower at the Lux Guesthouse produced moderately hot water and the toilet worked. Again not a great bathroom, but everything worked. 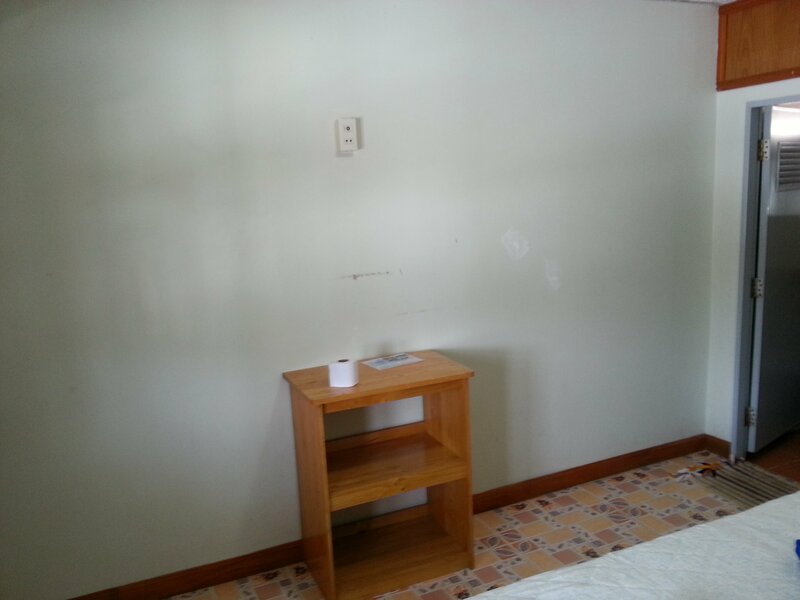 The rooms at the Lux Guesthouse do not appear to have TVs and neither did any of the hotels I looked at with rooms under 2,500 THB a night. There were facilities in the room except for a bed and one small TV stand with no TV on it. 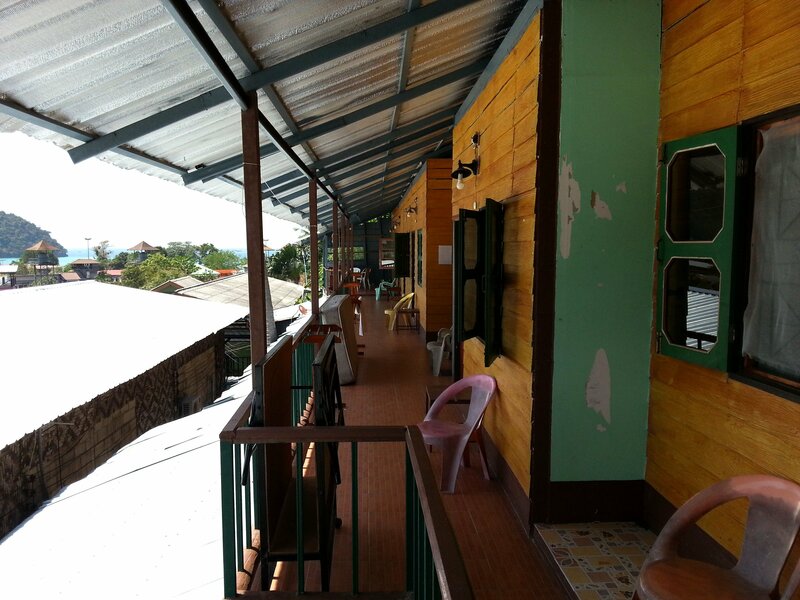 The Lux Guesthouse has large common areas in front of the doors to the rooms on wide balconies. There are chairs in front of each room and a good view of the hillside and the sea. The downside of these balcony areas is that you may hear some noise at night from other guests at the Lux Guesthouse having a drink either before they go to the bar or after they come back. Experiencing some noise at night is pretty normal when staying in the Tonsai bay area of Koh Phi Phi and the Lux Guesthouse is still one of quieter places to stay. The Lux Guesthouse has a small reception and sells no food, which is not a problem as there are lots of restaurants and shops very close by.